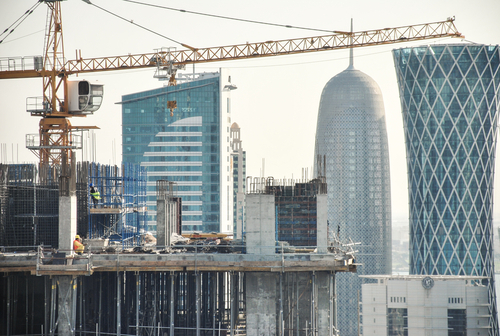 Qatar’s construction industry is expected to reach a value of US$106.9 billion in 2022, measured at constant 2010 US dollar exchange rates, according to Timetric’s Construction Intelligence Centre (CIC). According to the report, industry growth is expected to remain strong, posting a Compound Annual Growth Rate (CAGR) of 15.1% over the forecast period. The country’s construction industry will remain buoyed over the coming years on the back of sustained investment across infrastructure construction, healthcare, manufacturing plants, educational facilities and housing projects. Growth will also be driven by the country’s National Vision 2030, under which the government aims to develop the manufacturing industry with an aim to diversify the economy away from its dependence on the oil and gas sector. The government’s aim to diversify the economy, with a particular emphasis on non-oil sectors, will drive funding towards construction projects. In addition, government efforts to enhance regional connectivity by focusing on the development of the country’s transport infrastructure will support the industry’s growth. Furthermore, construction work related to the 2022 FIFA World Cup will support the forecast-period growth of the industry. The government’s plan to increase energy production capacity will support investments in energy infrastructure projects over the forecast period. Moreover, ongoing government initiatives to promote economic growth through flagship programs – such as the Qatar Rail Development Program (QRDP) and National Tourism Sector Strategy 2030 – will support the industry’s expansion over the forecast period. “Nevertheless, Qatar’s economy has largely recovered from a boycott imposed by other Arab states and economic growth returned to positive territory in 2018. Saudi Arabia, the UAE, Bahrain and Egypt cut diplomatic and transport ties with Qatar in June 2017, disrupting trade flows and triggering the withdrawal of billions of dollars of deposits from Qatari banks. The boycott greatly disrupted economic activity in the third quarter of 2017, but Qatar developed new trade routes, propped up banks with state money, and assisted firms to develop domestic output”, adds Hayes. Construction activity remains resilient, as government spending has continued on projects, despite a sharp downturn in the residential real estate market that was exacerbated by the boycott. Timetric expects to see strong growth in construction activity in 2018. Energy and utilities construction was the largest market in the industry during the review period, accounting for 30.0% of its total value in 2017. The market is expected to remain relatively sizable over the forecast period, accounting for 30.4% of the industry’s total value in 2022. Forecast-period growth is expected to be supported by public and private sector investments in renewable energy infrastructure projects. The government aims to generate 20% of the country’s electricity demand through renewable sources by 2030. As part of this, the government plans to build 200MW of new solar power plants in the country by 2020. The total construction project pipeline in Qatar as tracked by the Construction Intelligence Center (CIC), including all mega projects with a value above US$25 million, stands at QAR924.1 billion (US$253.9 billion). The pipeline, which includes all projects from pre-planning to execution, is heavily skewed to late-stage projects, with only 27.1% of the pipeline value being in projects in the pre-planning and planning stages as of March 2018. This information is taken from the Timetric report: ‘Construction in Qatar- Key Trends and Opportunities to 2022’.